Designing a lab to meet the demands of today’s world is extremely challenging. With EPA regulations becoming more stringent in regards to adherence of the Clean Air Act (CAA) and Pollution Prevention Act (PAA) not only are there significant design challenges, but also challenges of how your chemistry and fume hood pollution emission will fall into play. To further complicate matters, buildings are also tasked with green initiatives and achieving LEED certifications. All complex and challenging in their own right. Especially in the northeast climate (zone 5). So, what are some of the technological advancements to help assist in providing solutions to these challenges? With filtration the design of the lab is simplified, reducing not only first cost, but more importantly your annual energy consumption and carbon footprint. Because of filtration, facilities, such as; Bristol Community College, have been able to achieve ZNE (zero net energy). In addition to these benefits, filtration also drastically reduces the load of the buildings HVAC system offering a tremendous value to existing labs and those undergoing renovations. Filtration has long been thought of as a last-ditch solution, but with significant advancements made over the past 10 years, this should realistically be thought of during the first preliminary design discussions. 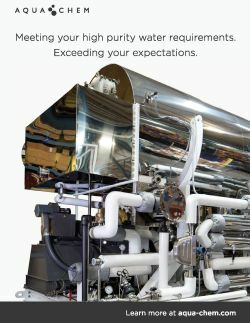 Not only does filtration drastically reduce the need for complex HVAC designs, but also provides a level of safety that few realize are available. This additional level of safety not only captures emission at the source, eliminating pollutants from being released into the atmosphere, but also works as an ecosystem throughout the lab, capturing emissions throughout the lifecycle of the chemical, wherever and whenever a chemical enters the lab. Speaker: Jesse Coiro | Director of Filtered Laboratory Solutions, Erlab, Inc.
Jesse Coiro is Erlab’s Director of Filtered Laboratory Solutions with over 7 years of experience in molecular filtration and energy reduction for multiple industries including manufacturing, pharmaceutical, forensic, flavorist and government. Jessie is passionate about safety and those who have had the opportunity to work with him or participate in his training sessions have experienced passion firsthand. Jesse leads a group of dedicated safety professionals who share his passion and understand real world business concerns, while finding creative, effective and affordable solutions that benefit both works and employers.